Before becoming a writer in my 70s, I had several overlapping careers. I have been a journalist, lawyer, government regulator, stock exchange officer, international economic consultant, expert witness, and, most recently, law professor. Writing was always a large part of what I did. At the Securities and Exchange Commission (SEC), I was one of the authors of a six-volume report that led to reforms of the securities markets. As a consultant to the World Bank, the Brazilian Central Bank, and the Indian Finance Ministry, I wrote detailed reports. 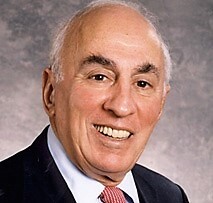 As professor of law at Brooklyn Law School I published regularly: articles, treatises, and reviews. These publications were targeted at lawyers, academics, and financial people. When I reached my 70s, I decided it was time to break loose and write another kind of book, which would appeal to a broader readership. It was something close to my heart that I had been thinking about for many years. Escape: a Jewish Scandinavian Family in the Second World War is the story of the escape of my mother's family from the Holocaust, against the historical background of how the Danes, Norwegians, and Swedes reacted to the Nazis' onslaught against the Jews. For me, doing the research and then setting it down as a comprehensible narrative was an exhilarating challenge. Getting it published was a different matter. After several rejections, I decided to self-publish. Luckily, I found a marvelous editor, who not only edited but helped me with every aspect of producing the book. 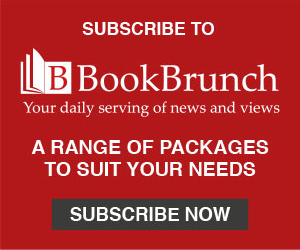 Publishing Escape in 2006 at the age of 78 gave me the incentive - and the courage - to retire from teaching and devote myself to a new career as a writer. How I came to write a biography of the 18th-century judge Lord Mansfield was fortuitous. That year, my wife and I happened to visit his birthplace of Scone Palace in Scotland. As a law professor, I had admired Mansfield for the clarity of his thought and his pragmatic and creative approach to the law. When I noticed a portrait of Mansfield by Joshua Reynolds at Scone Palace, it occurred to me that he would be a fascinating subject for a biography. Finding out that no modern life of Mansfield existed, I decided to write it. Researching the book not only revealed the great judge's life and work; it opened up an entire era to me. Georgian England, far from being the highly stylized comedy of manners of popular belief, was a turbulent age marked by political strife, commercial expansion, technological advances, and societal change - not so different from our own age. The work also taught me to write for a non-legal readership and, on a more mundane level, how to evaluate and cite sources. Finding a publisher was no easier than it had been for Escape, but I persisted. After approaching at least 20 academic publishers without success, I learned that McGill University Press in Montreal might be interested - and indeed they were. Lord Mansfield: Justice in the Age of Reason was published in 2013. The book received excellent reviews, in both the UK and the US. The research led me to my next book. Lord Mansfield counted among his friends two most interesting people of the theatre, the mercurial David Garrick and the flamboyant Samuel Foote. What is more, I learned that Mansfield had decided several legal disputes involving theatre people. I could not resist getting to work on a new book, this one about the 18th-century London stage. My main difficulty was that, since this was not going to be a biography of a single person, I needed an overarching theme that would bind together the different people and events. I found the theme: that in many ways the theatre of the 18th century foreshadowed the modern stage. It was during this period that a more natural, psychologically based acting style replaced the stiff artificial style of the previous age; the theatres began to be supported more by paying audiences than by royal or noble patrons; the press, which was growing in importance, often determined the success or failure of a play; and actors were no longer shunned by polite society, some becoming celebrities in the modern sense. The Birth of Modern Theatre: Rivalry, Riots, and Romance in the Age of Garrick took five years to research and write. It will be published by Routledge Press this November. I enjoy my new career as a writer. I get up each morning anticipating with pleasure the work I will be doing that day: perhaps detective-like research into the life of a man or woman who lived 250 years ago, or the solitary, creative process of writing. I've just turned 90 and have started researching my third book about the Georgian era, a period so rich and multi-faceted that I find it an inexhaustible source of material - both human and historical. Norman S Poser is emeritus professor of law at Brooklyn Law School and a former executive vice president of the American Stock Exchange. 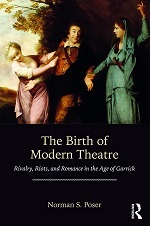 His new book about the Georgian era, The Birth of Modern Theatre: Rivalry, Riots and Romance in the age of Garrick (Routledge), is published on 15 November.